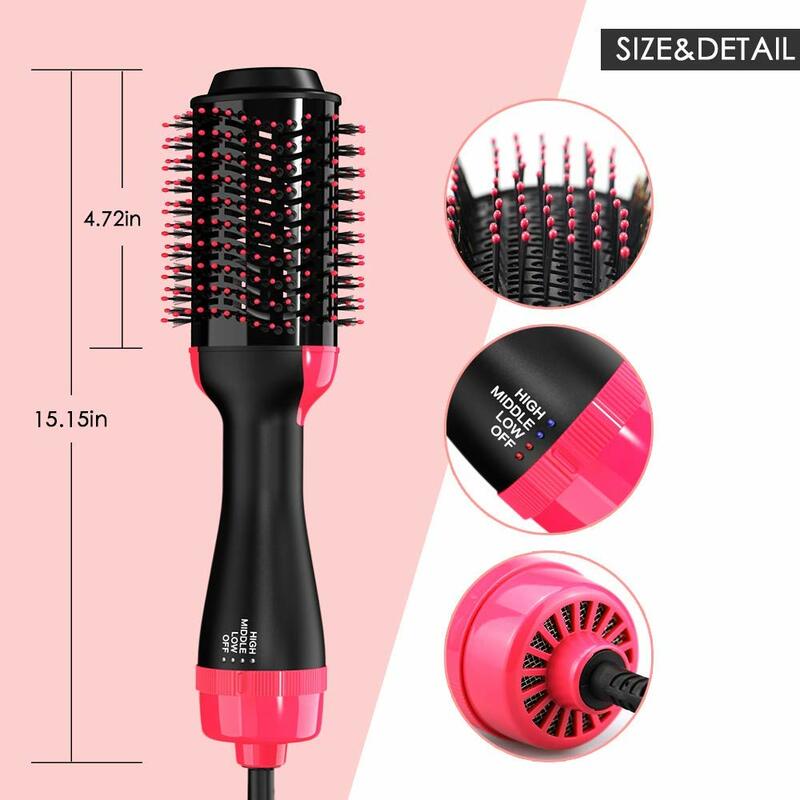 One Step Hot Air Brush is a perfect combination of dryer and brush, you can blow-dry and style hair in one single step. Designed with unique airflow vents and bristles, the oval brush can easily create gorgeous volume, gives your hair a smooth, silky and natural lustrous look from root to ends, elevating your style and capture your natural beauty. 1. 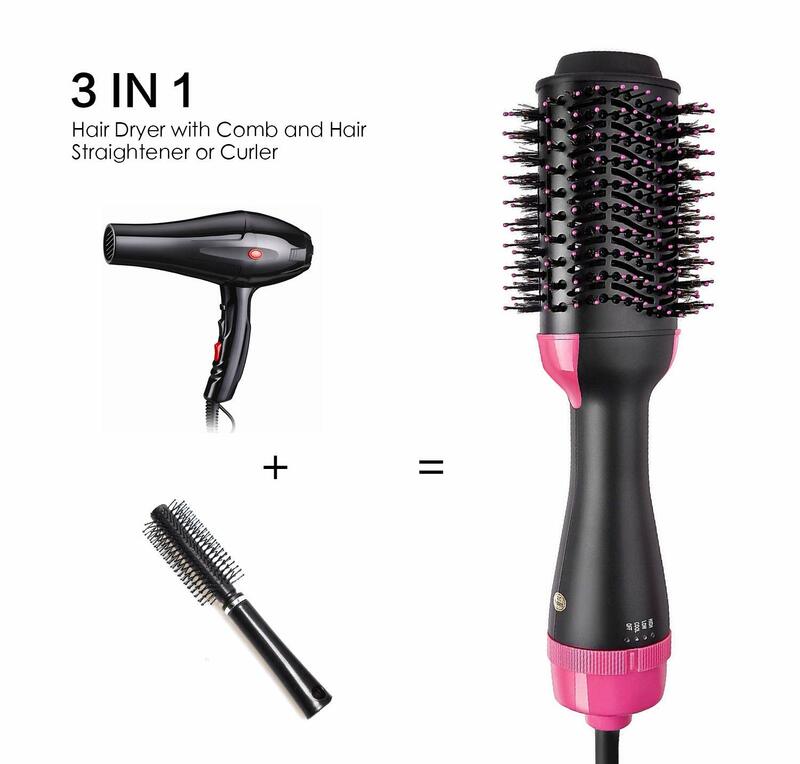 Salon One Step Hair Dryer and Volumizer is designed to deliver gorgeous volume and brilliant shine in a single step. 2. 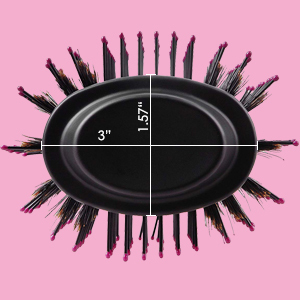 The unique oval brush design quickly creates frizz-free volume at the root and beautifully full-bodied curls at the ends in a single pass, for salon and home uses. 3. 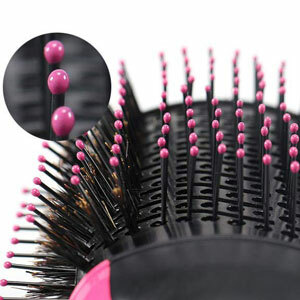 Nylon pin bristles with comfortable ball tips softly detangle hair. Mixed nylon pin and boar bristles help grip hair on curved edge for improved volume and control for smooth, shiny results. 1. Prior to plugging in check the voltage on the rating label to ensure it corresponds to your local voltage. 2. Your brush is equipped with two speed settings low and high. It is also equipped with a cool switch. As a general guide, use the high speed setting for rough drying for thicker hair, and the low setting for finer and more precise control when styling. The cool setting can be used at the end to set the style. 3. Start at the back of the head when drying your hair and work forward. 4. DO not concentrate the airflow on any one area for an extended period of time. 5. USE CAUTION: Start with low setting first to test the right temperature for your scalp. NOTE: During the first few minutes of initial use you may notice smoke and a slight odor. This is normal and will quickly disappear. Notes: The brush works for shoulder-length to long hair. Due to its size, it is not suitable for too short hair. Multiple heat settings from LOW, MIDDLE to HIGH for all hair types. High heat for thick hair, low heat for fine hair. Rotary switch, simple operation for you to choose the right setting. 1000W power provides the right heat for drying and styling. 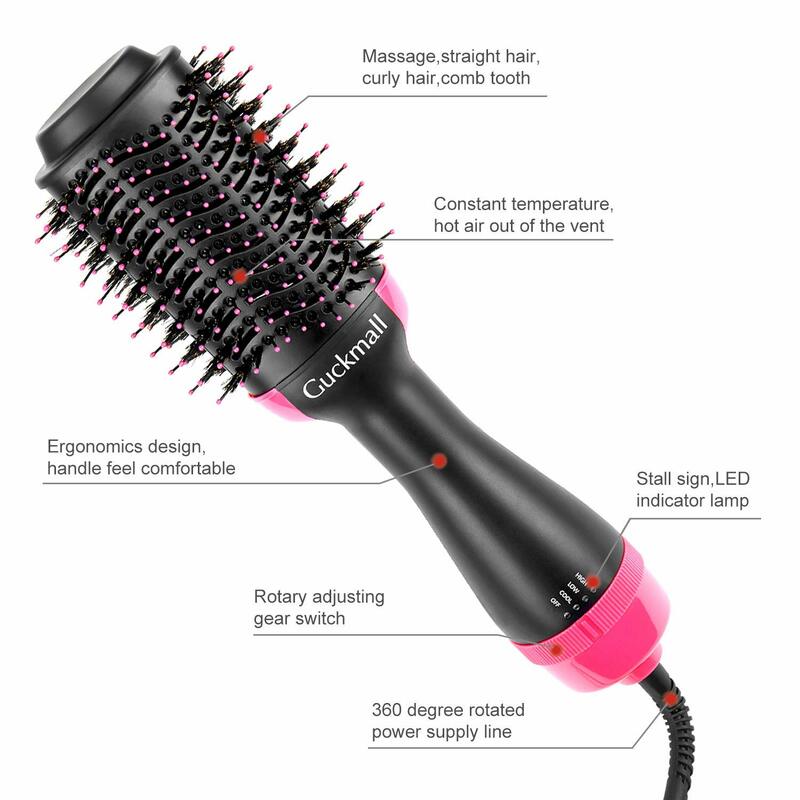 Unique air flow vent ensures a better air & heat coverage, while the Nylon Pin & Tufted Bristles smoothly detangles hair knotting and helps relax head scalp. Easily and quickly creates volume at the root and beautiful full-bodied curls at the ends, making the whole styling more convenient. Unlike conventional hair dryers, this volumizer can be placed closer to the scalp for lifting hair.